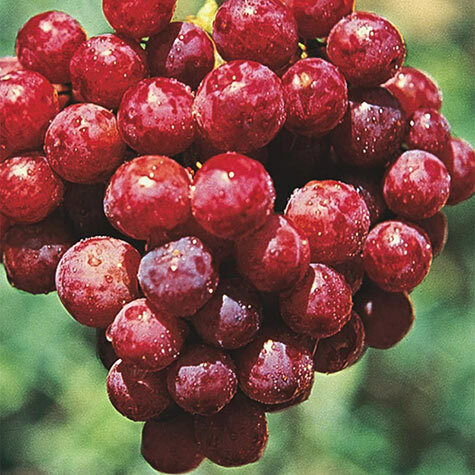 Seedless Pink Reliance Grape | Gurney's Seed & Nursery Co.
Sugar-sweet rosy fruit is big and plump, perfect for snacking. Cold-hardy vines take subzero temperatures. Ripens in late August; produces 40-50 clusters per vine .Highly disease resistant. Zones 4-8. Depth: Plant at the same depth as the nursery. Yield: Approximately 20 - 40 pounds at maturity. Fruit: Round, medium size, firm, seedless, pinkish-red fruit, Pink Reliance is not a slip skin variety. Soil Requirements: Moist, well-drained, slightly acidic soil. 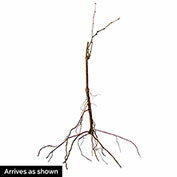 Pruning: During late February or March, proper pruning will help maintain a grapevine's potential of producing a good quality fruit crop, develop good vine structure, increase sunlight exposure into the canopy, promote the development of next year's fruiting wood, and potentially reduce disease and insect pressure. Size: 1/16 - 1/8 inch. Comments: Large, well-filled clusters. Fruit has a tender skin and flesh with melting texture. 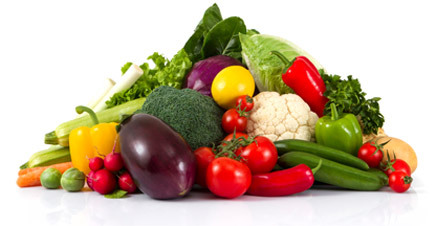 Fruit has an outstanding, mild fruity flavor with high sugar content. Vigorous, productive, dependable vine. Somewhat susceptible for black rot. Stores up to 3 months. Resists anthracnose and mildews. 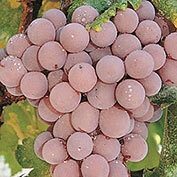 American grape. Train on arbor or trellis. Developed in the North. 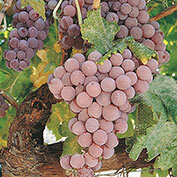 Best for Northern climates for seedless grapes. Tends to produce some type of seed if grown in climates above zone 6.